It has been more than 2 weeks into Syawal month. I bet that your weekends (and weekdays too) are full with open houses where there are always delicious foods and great friends around. I mean, where there are great companions, food are always good. 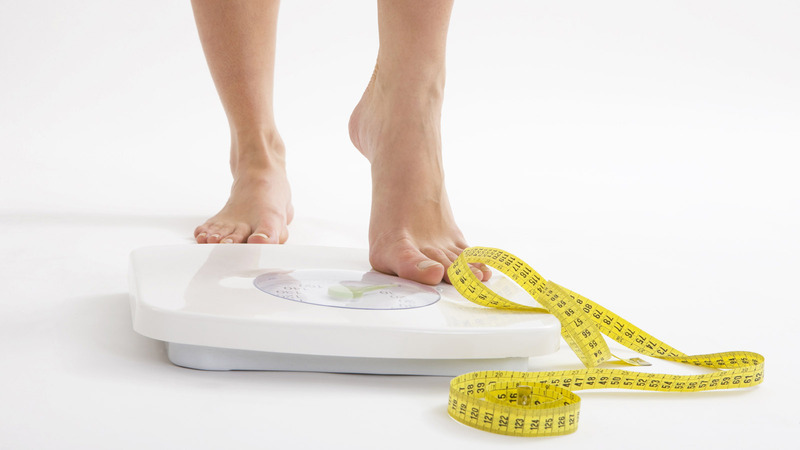 After all the gatherings, have you step on your much hated weighing scale? For me, now it is time to detoxify my body again - too much lemang, rendang, ketupat, semprit and all those delicious drinks! Detoxification is the process of removing toxins from the body. The process of detoxifying involves a lot of elements (herbal detox regimes, change of diets & vitamin supplements etc). We as human are exposed to many toxins on a daily basis that we have little control over but the ones from the food and beverages that we consumed are largely controllable. Rids of Excess Waste | Detoxing allows the body to rid of any excess waste it has been storing. Most detox programme are designed to stimulate the body to purge itself, helping the liver to do its thing well (kidneys and colon too). Cleansing the colon is crucial as a backed up colon can cause the excess to be reintroduced into the body. Who doesn't love weight loss? Helps Weight Loss | Sticking to a detox regime would introduce you to healthy eating thus sticking to the regime will establish a healthy eating habit. Get your body familiarize with the vegetables and fresh fruits and slowly, change the diet with the good food. Stronger Immune System | When detoxing, the organs are free to function the way they should. This will boost up the immune system since the absorption of nutrients are better than ever. Exercises during detoxing also help to circulate lymph fluid through the body and helps it to drain, strengthening the immune system in the process. Promotes Healthy Changes | Changing a lifetime habit is hard, thus detoxification needs hard discipline. Slowly replace the bad foods that cause addiction (sugar, caffeine, fried or crunchy food) with the good, fresh and organic ones, eventually, you will be able to restrain yourself and be more likely to stick to the new habits. So, what do I do for detoxification? I just take a sachet of Garam Buluh before I go to sleep every night and it cleanses out the toxins from my body. I take 2 sachet when I starts to sneeze - and it works like a charm! 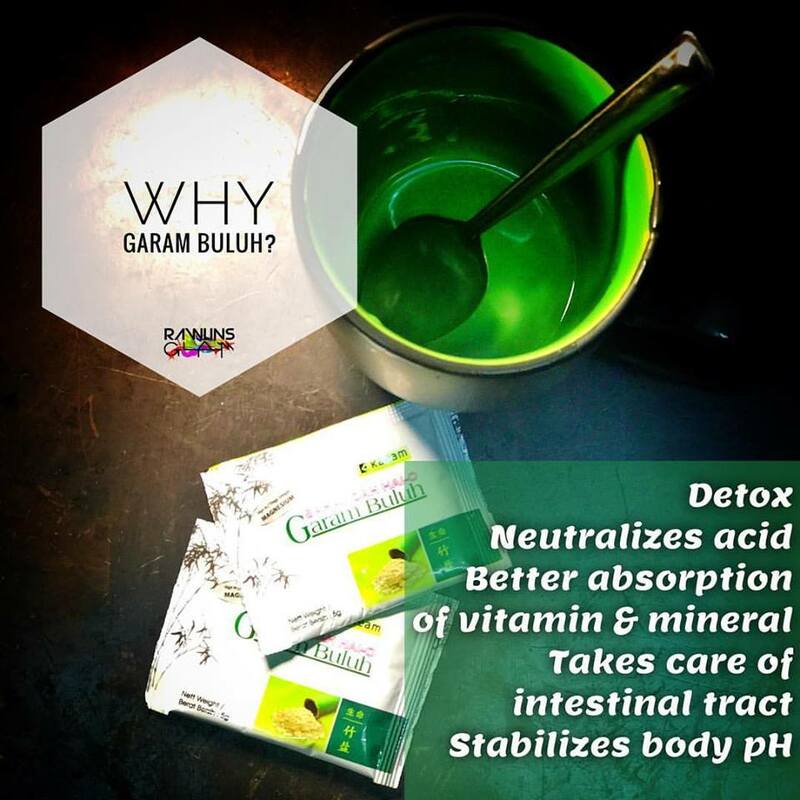 Luckily, Garam Buluh not only helps to detoxify the body. Here are some more benefits of taking Garam Buluh . Contact me to get your detoxification must haves today! This is so true. You need to detox your body sometimes. Not only to lose weight but also for good health. Experience this. Ohh... I agree detox is a must after all every festive celebration. This garam buloh detox seems interesting and convenient. Interesting, never tried before. Would love to try it out some day! You're right that the body gets toxins in a number of ways. Thanks for re-emphasizing the importance of detox. These tips are quite useful. Cheers!! detox detox detox ! yes and agree with you that we need to remove toxins from our body. Stay healthy ! Agree with you, we need to detox to remove toxic accumulated in our body. Garam buluh is a detox product, mean kinda salt help detoxification??? I got to know bamboo salt months ago too. Although it doesn't smell pleasant, I would get it for the sake of health. tq for spreading! Agree with your statement. Detoxification really important to get rid the toxin in our body and stay healthy. Yes detox is the good way to maintain your health.Thanks dor sharing this detox products. Make me wanna buy this. Haha.. what a good reminder your post is, especially after attending so many open houses. It's been a while since I detoxed. Really malas, lately!! My health have been so poor lately since I'm rushing for final semester, will need to properly detox my body once everything's over! First time I heard can consume directly, usually people recommend to include in cooking. Wondering is it super salty... hehehe.... didn;t know can remove toxins! Thanks for sharing! Body detox is an important aspect of cleansing. Thanks for the reminder. I'd love to practice these pointers often. Cheers!! Body detox is really very important.. Now I know more of the benefits.. thanks to your post.. I need to run a detox soon to clear my body from toxins, thanks for the reminder. Detox is very important for body!!! !everyone know it but got how many ppl can do it? 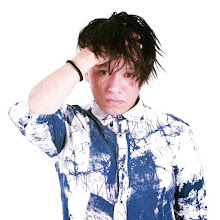 Izzue Islam Wants to Meet You!